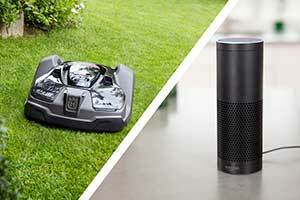 Husqvarna’s Automower, the company’s robotic mower, is now compatible with Amazon Alexa. The first version is available in English. “Our customers rightly expect Husqvarna products to be in the forefront and work with the mobile infrastructure and technical possibilities of today, giving them multiple and evermore convenient ways of interacting with our products,” said Sascha Menges, president of Husqvarna division. With the integration of Amazon Alexa, Husqvarna Automower owners can now control their robotic mower by asking Alexa to start, park and pause the robotic mower, as well as resume sessions. Users can also ask Alexa to run Automower for a set number of hours and ask Alexa what Automower is doing.